Hi there! Welcome to Sassafras Business Services. I'm Sarah Waldie. I'm a frontend web developer with a background in marketing and advertising. My passion is using my experience to help people create a piece of the internet that they are proud to show off to the world. I especially enjoy working with fellow female entrepreneurs and moms! I offer a 10% Military Discount to our veterans and active military members. First of all, I got into MotherCoders, which is AWESOME! Class starts next week and I'm feeling very optimistic about where things will lead. PERFECT FOR: Anyone looking to set up a website with a blog or store, and/or someone who wants to be able to manage their site's content via a content management system (CMS) after it is built. If you need help with a new or existing WordPress site or SquareSpace setup, or if you are simply wondering whether one of these platforms is right for you, contact me to find out how I can help! PERFECT FOR: Anyone who wants a unique site and doesn't necessarily want to use a template or theme. Custom needs vary greatly, so let's talk about what you need for your business and how I can create something special just for you. Are you a designer who needs someone to bring your web design to life? Or perhaps a fellow developer who wants to collaborate on a project? Let's work together to do something great! Reach out to find out how I can help you tackle your next project. Select a logo to learn more about the work done for each client. 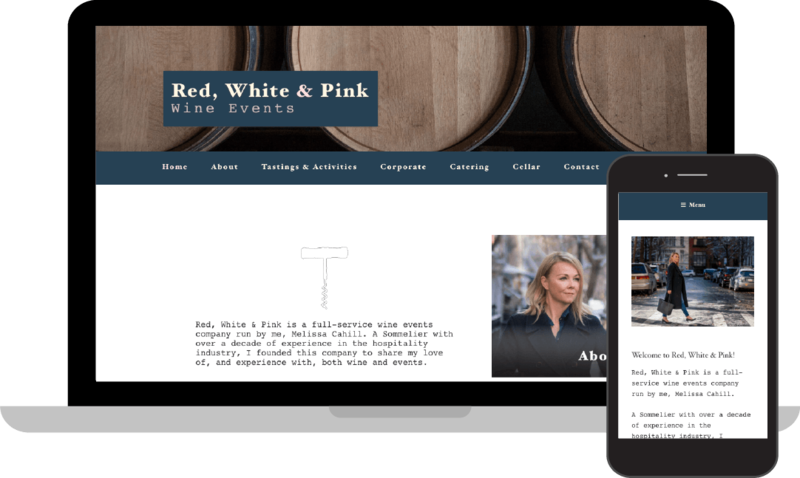 Red, White & Pink Events is a New York-based wine events business that needed a website to show off their services. After consulting with the client to get a sense of her design preferences and the content requirements of the site, I opted to develop on WordPress so that the client can easily add a blog in the future if need be. 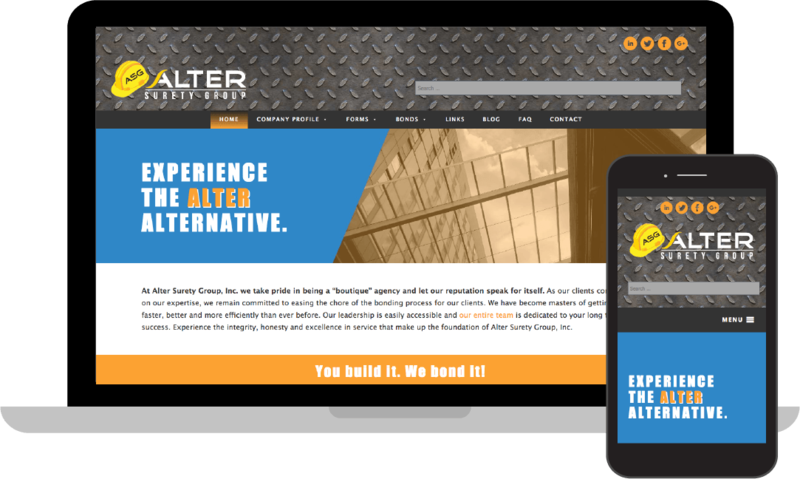 Alter Surety Group came to me with a WordPress site that had some broken plugins and design elements that they weren't happy with. They wanted a site that worked properly, looked professional and was secure. I rebuilt the site using a new theme, customized to meet their needs, and implemented some security tools to help keep their site safe and sound. This site was built from scratch and highlights R&J Advisory Group's strategic business coaching services. The focus was on building Jennifer's credibility as a coach by sharing her own journey to success. "For almost ten years now, Sarah has been my go-to for all things marketing, from graphic design and copywriting to strategic consultation. When it came time to build a website for my coaching services, I knew I could trust Sarah to knock it out of the park. One of my biggest challenges was telling my story and organizing a great deal of content related to my coaching services, but Sarah came up with a way to lay it out in a site that works perfectly and looks fantastic. Most importantly, it's custom-made so it's unique to me and my business. I look forward to many more years of working with Sarah and Sassafras Business Services." Jennifer Walzer Berkowitz, President, R & J Advisory Group. 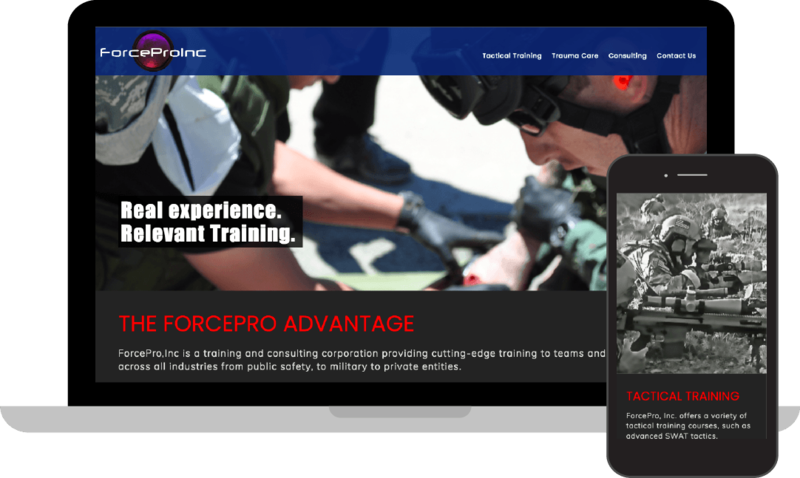 ForcePro, Inc. provides tactical training services to first reponders and law enforcement organizations. They needed a site that would clearly and concisely display information about their core services and specific classes, while also establishing credibility up front. "Working with Sarah was a seamless experience. I gave her my business intent, and she provided me with easy options to choose from. She continues to be reliable and provide follow-on service. A pleasure to work with." 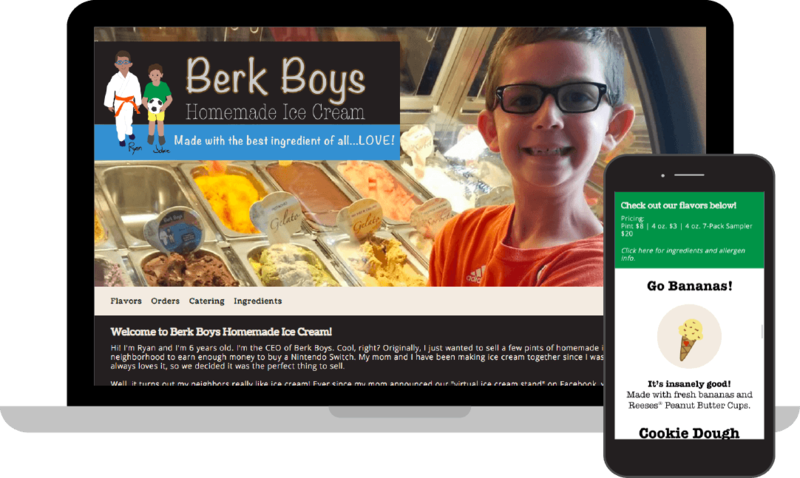 Berk Boys Homemade Ice Cream was a hobby that turned into a business venture for Ryan and his mom. They started selling so much ice cream that they needed a site to share their story, flavors and ingredients. I designed the site with a fun homemade feel and created matching labels and sales collateral as well. 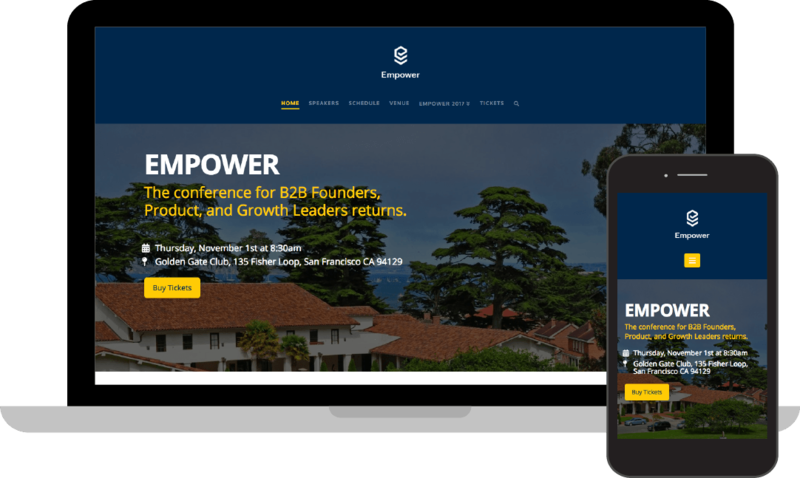 Empower B2B needed a site for their tech conference that would allow them to easily add additional speakers, schedule details and more, as they planned the conference. I built the site with a forward-thinking approach that would make it easy for the client to make these updates on their own without breaking anything :) I also provided documentation to help them along the way. Services: WordPress website design and development. Client User Guide development. 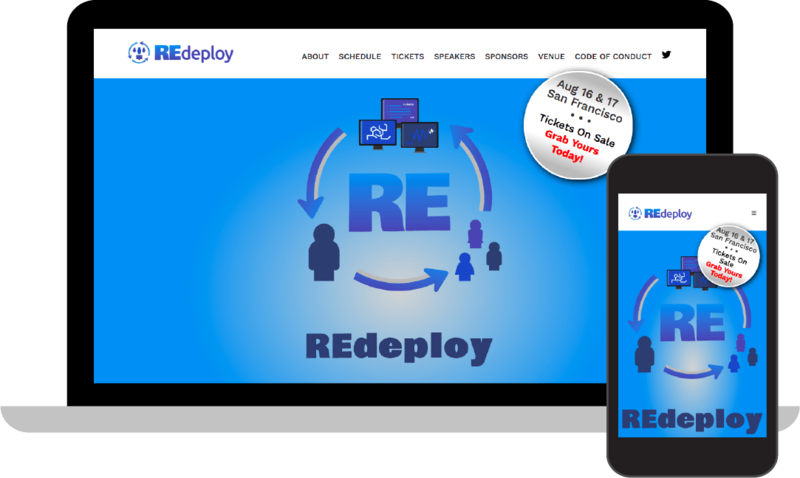 The folks at REdeploy contacted me to help launch their 2018 conference site under a tight deadline when they found themselves in need of a developer. I happily jumped in and got to work. This project was really a collaborative effort, and one that is continually evolving. I handle the HTML layout and CSS design of the pages, and the REdeploy team adds some PHP to dynamically generate the actual content to fill in the templates. Services: Custom website design and development. Collaboration via GitHub. 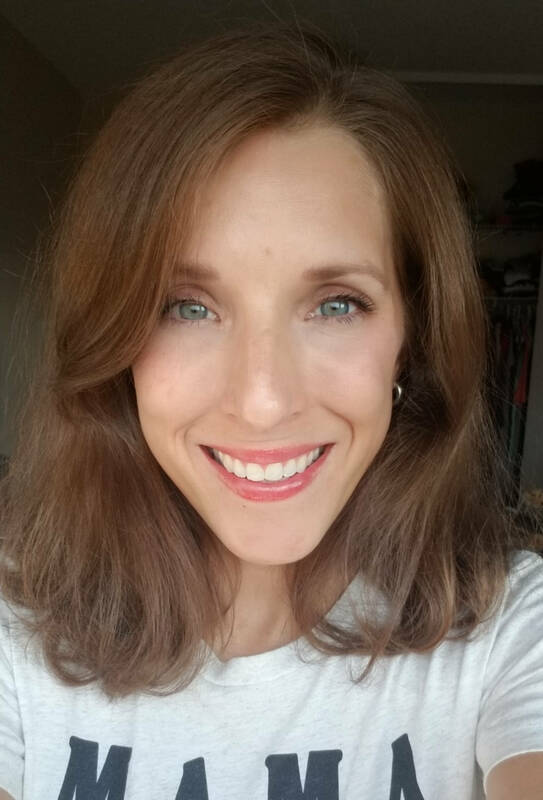 I'm a mostly self-taught front-end web developer who has decided to make a go of it as an entrepreneur while being mom to the coolest little boy in the world. I studied marketing and spent six years taking care of clients at an ad agency in Tampa, FL before returning to the greatest city in the world, NYC. I code because I like to build things. I code for clients because I like to build relationships. I hope you'll be in touch! Here are some of my the resources I've found handy, helpful and/or lifesaving as a freelancer and web developer. Laborers of Love is a supportive, welcoming community for those of us ladies who hustle every day to be able to make a living doing what we love. Please join me there!